A Manual resuscitator is a device using positive pressure to inflate the lungs of an unconscious person who is not breathing, in order to keep them oxygenated and alive. 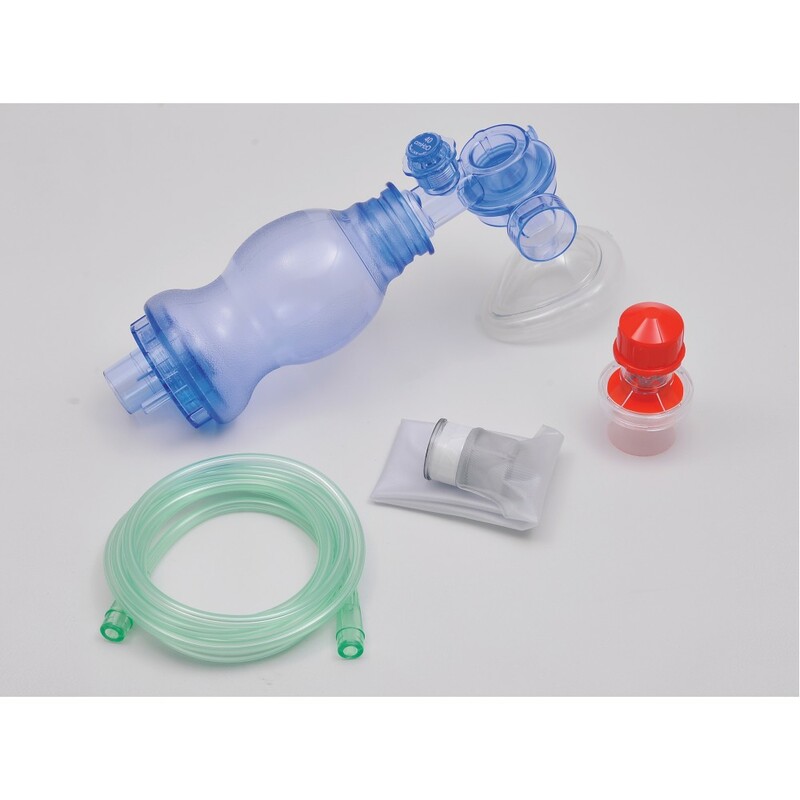 Our Manual Resuscitator is designed to provide effective breathing assistance and for patient comfort. It's simple and safe construction makes it desirable for use in acute situations. The construction helps ensure easy and fault-free assembly. All connections meet ISO standards. Resuscitators are available in three different size -adult, child and infant- covering a wide range of tidal volumes. Available in three different sizes: Adult, Child and Infant. Disposable Resuscitators are made PVC. Clear single wall construction provides optimal sensitivity. Textured bag allows positive grip, 360° swivel for ease of use with facemask or endotracheal tube. Children/infant bags complete with 40cm H2O safety pressure release valve, minimizes the risk of over inflating the lungs. Folds into compact size to help storage. Unparalleled durability for long product life.